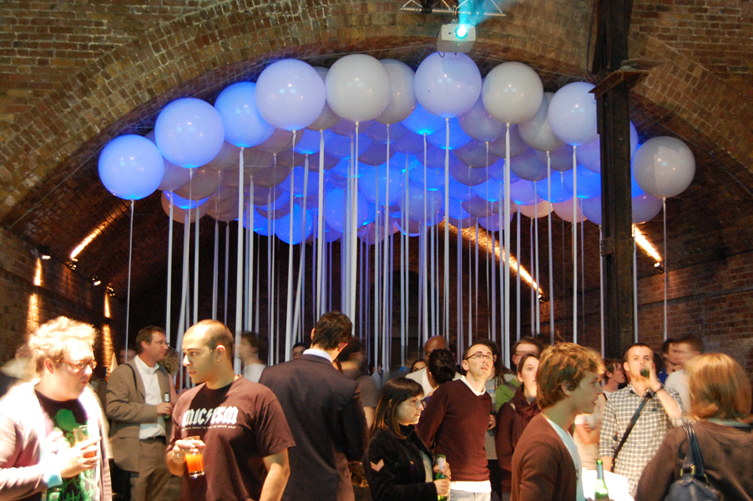 This was a client project at Tinker London for YCN, who host an designers' showcase event annually. We created an interactive kiosk system that allowed guests to select their favourite work using RFID VIP cards. We also created a ballon display that used Atmel CPUs (ATTINY) to display a glowing pattern within hundreds of giant helium balloons. These were released “into the wild” in London, after the event.